I would like support from residents of San Jose to rename the park. St. James park. To Tiburcio Vasquez. Please pass the words to others to rename in honor of Tiburcio Vasquez. 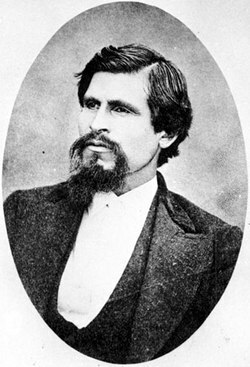 I am a descendant of Tiburcio Vasquez would like to know when he and his wife, Maria Del Rosario were married? I have the date but not the year. I have April 27th. 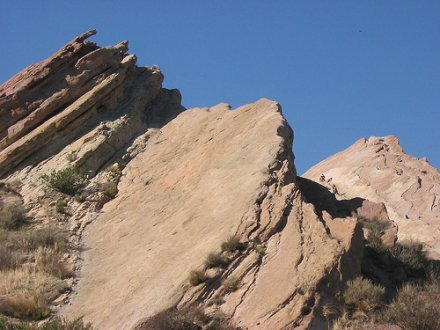 It’s possible that the unreliable source is your local folklore. He was actually hung in Morganhill ca.the tree is still their it on the corner of monteray rd and edmundson.I live down the street from there. Can you provide a source for this info? Google maps? or documented facts? Thanks! 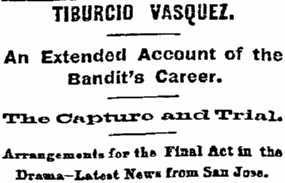 Where exactly was Tiburcio hung? It is unfortunate that the Salinas School board decided to name a school after a known criminal. After all there so many worthy Hispanic role models! Lets hope that this terrible role model is not emulated just because they have a greivence by the children. I to am very interested in the story of this man but all I have read so far is all the negative things about him. Why would you name a school after vasquez? I would like to read more of the real story. What made him the man he became? Did the fact that he was robbed of everything including his dignity have something to do with it? 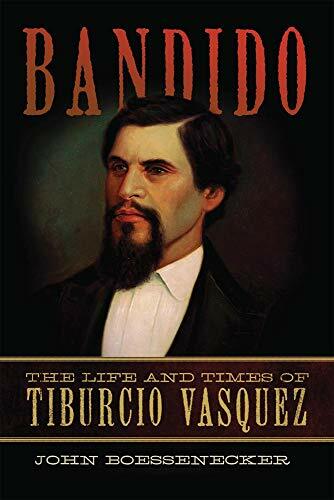 I am from Salinas, California and I learned recently that our new school, opening next year, will be named Tiburcio Vasquez. Some fellow peers of mine were questioning the choice of name and asked me about the man. I know a little about him and basically consider him a symbolic “Robin Hood” figure in the hispanic community. One peer asked “wasn’t he a bandit?” and another commented “…I understand he was a ‘Don Juan” type, ladies man….”. I thought about that and came to the conclusion that these are just parts of the whole person. There is more to him than just that. So I googled him to update myself and enjoyed your piece about him. I realize that he was a man of his times. Those times were blatantly racist and unjust times for people who were not white. I think the so-called “bandidos” were most of the time people who were just fighting back, fighting the system. I think Tiburcio Vasquez is a good name for our new school.